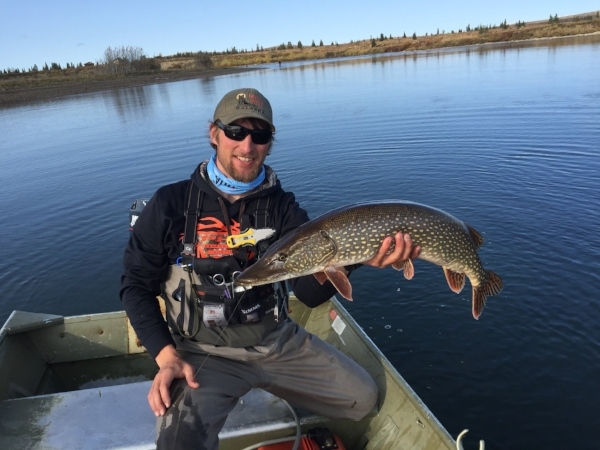 Joining us for the last Alaska series podcast is 23 year old Alaska Hunting and Fishing Guide at Royal Wolf Lodge, Jesse Hula. Jesse made the decision right after high school to head to Alaska in search of his dream job, fishing for a living, and he is now living that dream. He talks about everything fishing, hunting & the outdoors and what it has been like to accomplish so much at such a young age, including recently getting his private pilot license. Jesse also shares some pretty epic adventures hunting brown bear and what it is like to experience the salmon run. 3:47- Jesse talks about getting his girlfriend into fly fishing and how amazing fishing in Alaska is. 6:45- Jesse's background of growing up in Oregon hunting & fishing with his dad and how he credits his father & grandfather for being the biggest influences for getting him into the outdoors. 9:25 Jesse shares his most memorable experiences growing up in Oregon hunting elk and dealing with the crazy weather and snow. 11:57- What sparked Jesse's interest in wanting to go to Alaska & become a fishing guide. 13:00- Getting the opportunity to work at royal Wolf Lodge, his first trip to Alaska and getting used to Alaska life. 17:00- How differently his life would have gone if his father & grandfather hadn't gotten him into the outdoors and what the last few years have been like working at Royal Wolf Lodge. 19:00- Getting the opportunity to help guide brown bear hunts & the various brown bear hunts he has been on including his most memorable bear hunt. 27:25- The experience of getting his pilots license this year and doing maintenance on airplanes. 31:00- Guiding both fishing & hunting on his own this year and the adventure of his first solo guide bear hunt. 38:00- All the things he has learned about bear hunting since becoming a guide. 39:45- The experience of working at a catch and release fishing lodge. 40:55- Where he sees himself in 5-10 years, if he will stay in Alaska and the other goals he has for himself. 46:45- The 5 star experience that Royal Wolf Lodge provides & what it's like to go to a lodge only accessible by plane. 51:05- The #1 thing that Jesse has taken away from the last 5 years after graduating high school and leaving Oregon for Alaska. 53:28- What advice he would give to youth and young adults who have dreamed about going to Alaska and pursuing their dreams. 54:24- Jesse's favorite place in the wilderness and what the wilderness does for his attitude.